Mild weather, scents of Africa, Phoenician towns, great wines and outstanding sandy beaches: that's the South of Sardinia. Indulge yourself with a short break in the heart of Mediterranean. 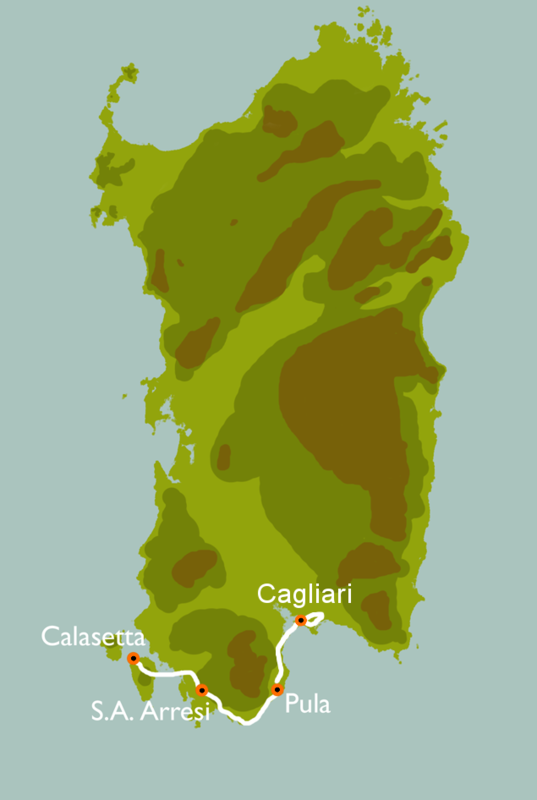 We’ll meet at Cagliari airport, and we’ll shuttle to our charming hotel in Calasetta. After the check in, we'll do a bike fitting and we'll warm up on a easy ride in the countryside. 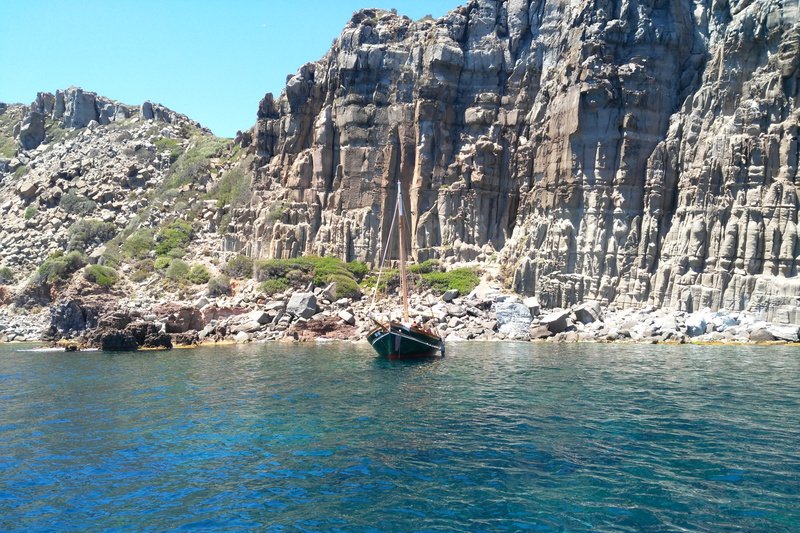 Then we’ll meet for a mandatory aperitif, to introduce the tour day by day, and to celebrate our first day in Sardinia. We get in the morning to Carloforte, on San Pietro island with a 30min ferry ride. Carloforte is a Mediterranean gem where Ligurian, African and Sardinian culture blend harmoniously. Carloforte is a pretty town, the only one on San Pietro island, it host since 1783 of a community of ligurian fishermen comes from the african island of Tabarka, (Tunisia) for the will of king Emanuele III of Sardinia. We spend the day exploring around salt works, nice beaches and the charming colourful town famous for the Red Tuna fish. In the afternoon we take the ferry back to Calasetta. We leave Sant’Antioco island along the salt works, dotted by pink flamingos. After a stop in the picturesque village of Tratalias vecchia, built around the beautiful Romanesque Cathedral of Santa Maria, we’ll cross the Sulcis countryside through artichokes fields and Carignano vineyards. The riding day ends in Sant’Anna Arresi in front of the beautiful bay of Porto Pino. The last leg of our tour starts with a rolling part overlooking Capo Teulada shores, this is just a warm up which make you ready to face the highlight of your tour: the amazing Costa del Sud. It’s a little bit challenging road, going up and down along the coast...a little pain for your muscles but a joy for your eyes. We end in Pula, a lively town and the perfect place to enjoy our celebrating dinner. Today we go cycling from the city centre to Molentargius Park, along the ancient salt works inhabited by thousands of Pink Flamingos and other many species of lagoon birds. Here flamingos (called Genti Arrubia by locals, which means: red people) nest and live from more than 30 years, becoming a real symbol of the city. We go back in town cycling along the nice Poetto beach, were we can experience a super local ritual: having a drink watching at the Sella del Diavolo cliff plunge into the sea. Well, it’s time to say goodbye, but we are sure this part of Mediterranean will touch your hearts and you’ll come again to visit more! The price of this Tour starts from 3.500 €, and it's fully customizable.